Luge helmet. Beauty from ‘Form following Function’. “At the 1976 Innsbruck Games, the West German team arrived with innovative “conehead” helmets. The aerodynamic headgear helped the team win three medals. Similar helmets were outlawed in subsequent Olympics”. 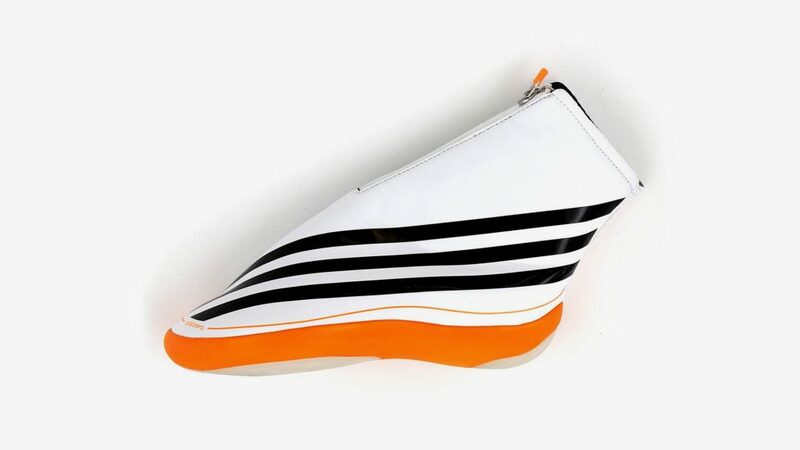 Luge boots. Again form follows function, this time to shape the foot into a more aerodynamic form factor. Short-Track Speed Skating. The details of the Skate reveal a custom prototype approach. In short track the track looks almost like a true circle, which results in racers leaning heavily to turn throughout the race. “The skate’s blades are set off from the center of the sole in order to compensate for the angle of the body”. “As skaters turn, their fingers touch down for balance. Bulbous tips, added to the glove, help the hand glide smoothly”. Curling. Even the broom has come along way. This is used to control the direction and angle of the stone. 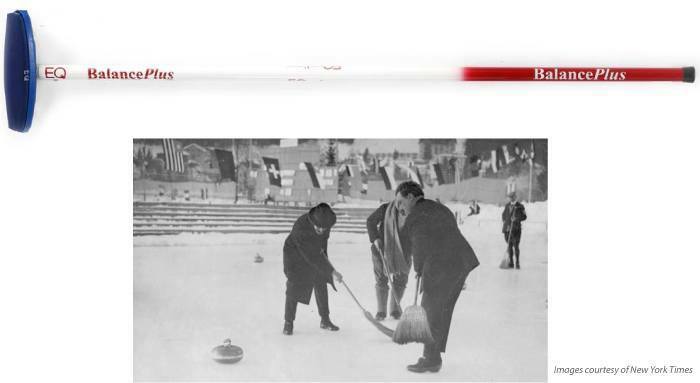 “At the first Winter Olympics, in 1924, many of the sweepers used corn brooms, similar to ordinary household brooms”.